$14.00 for $150.00 - $100 Toward Windshield Replacement & 2 FREE $25 Restaurant.com Gift Cards for Only $14! Apply $100 toward a competitively priced windshield. If using insurance; call Cascade for details. Mobile service to your home or office. Windshield voucher valid for one year from purchase date. 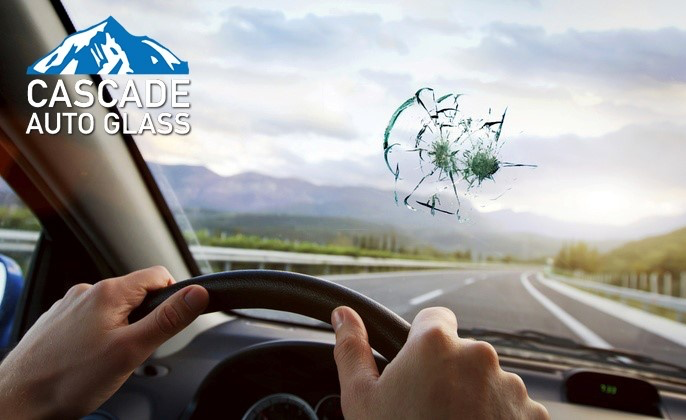 Choose the windshield experts at Cascade Auto Glass to replace your damaged windshield, in business since 1993. Our technicians are fully trained. Cascade only uses Original Equipment Manufactured (OEM) quality windshields. Other glass companies might not use the same quality windshields that Cascade uses. We’ve strived not to be the biggest, but to be the best auto glass company around. The safety of our clients, customers and their families is our number one priority, and a company you can trust. Not valid when combined with any other offers. $25 restaurant gift cards are from restaurant.com. Restaurant.com cards are valid throughout the United States. Customers will receive gift cards 7 to 10 days after windshield installation via US mail. Click HERE to see if your zip code is in our service area in the Greater Tri Cities area. Call Cascade at 800-320-5358 for additional information or if you cannot find your zip code within their service area. Limit 1 per person: (unlimited as a gifts). Limit one per vehicle. If using insurance, call Cascade Auto Glass for details. Paid value does not expire - Promotional value good for 1 year. Not valid when combined with any other offers. Cascade works directly with all insurance companies. $25 restaurant gift cards are from restaurant.com. Some restrictions apply. No expiration date. Restaurant.com cards are valid throughout the United States. Customers will receive gift cards 7 to 10 days after windshield installation via US mail.